It’s reassuring that there is such a focus nowadays on preventive care and being proactive when it comes to health care. There was a time not all that long ago when it was considered okay by many people to visit their primary care doctor only when there was a problem to be taken care of. Universal annual physical exams, though, have become the new normal. And that’s a very good thing. So many health issues can be handled before they lead to serious consequences, providing that they are caught in a timely manner. It’s something that we at Soho Health- Fagelman are committed to. As advancement in the understanding of how different things affect the body make achieving high levels of health more attainable than ever, changes are made to where the line is for certain common testing. For example, what used to be considered good blood pressure is now thought of as borderline high. These new guidelines aren’t arbitrary. They prevent disease, and they save lives. The same is true of cholesterol numbers and others, such as blood glucose. Our Midtown NY medical checkup is thorough, and while there are baseline aspects that are applicable to everyone, your visit will be tailored to your specific concerns, including those related to your medical history and heredity. Those who are more prone to heart disease or diabetes, for just two examples, may need closer scrutiny. 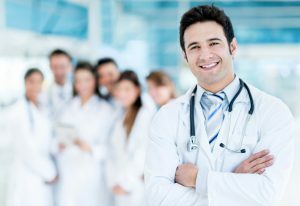 Our Midtown NY medical checkup also is based on asking questions; both the ones you have for our doctor, and the ones that our doctor has for you. If any follow-up care, including the need for a specialist, is indicated after your examination, you’ll be advised accordingly. Make certain that you are taking control of your health. Call us or use the handy messaging app on our homepage to schedule an appointment for our Midtown NY medical checkup.